Submittal/substitution request for SUBH, MSUBH and LSUBH bridging connectors for cold-formed steel construction. 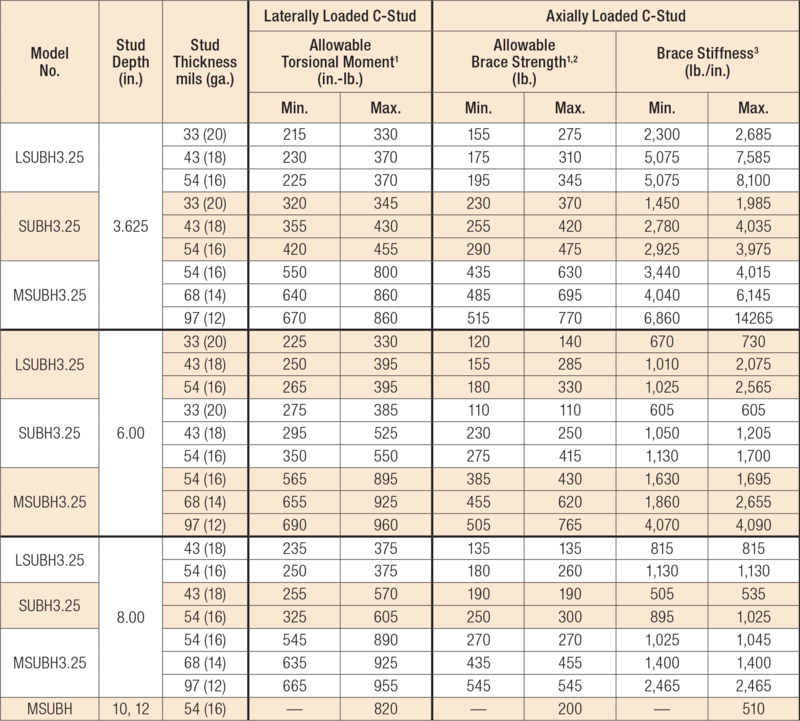 Allowable loads are for use when utilizing Allowable Stress Design methology. 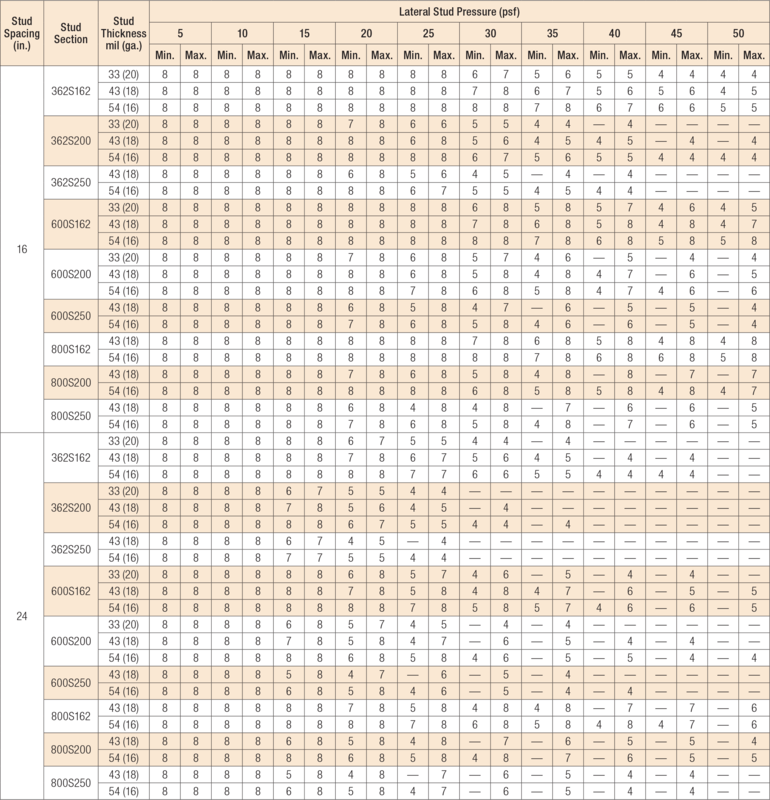 For LRFD loads multiply the ASD tabulated values by 1.6. Allowable brace strengths are based on ultimate test load divided by a safety factor. 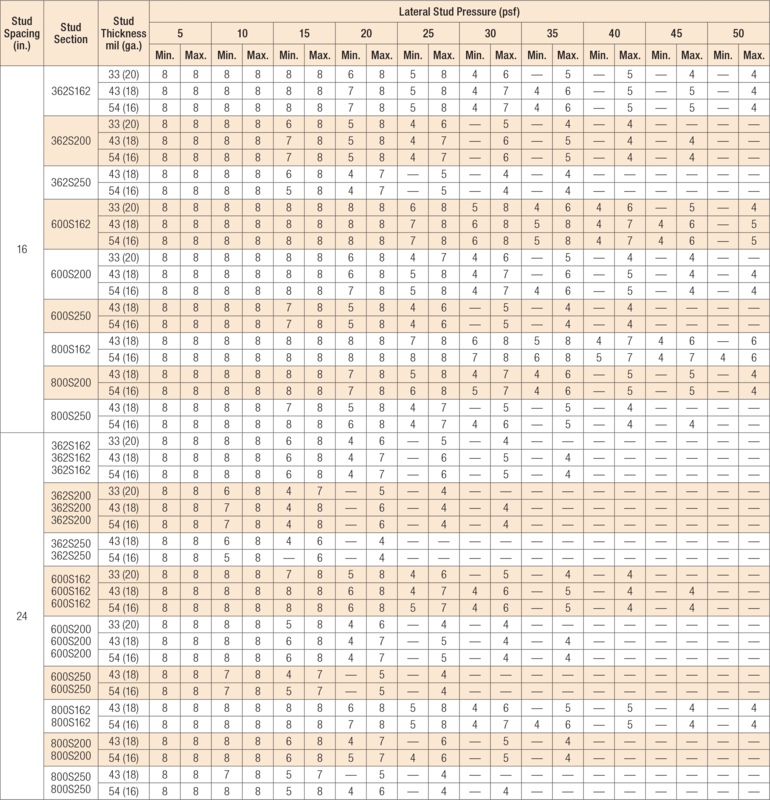 Serviceability limit is not considered, as brace stiffness requirements are given in section D3.3 of AISI S100-2012. Contact Simpson Strong-Tie if nominal brace strength is required. Allowable loads consider bridging connection only. It is responsibility of the Designer to verify the strength and serviceability of the framing members. "Min." 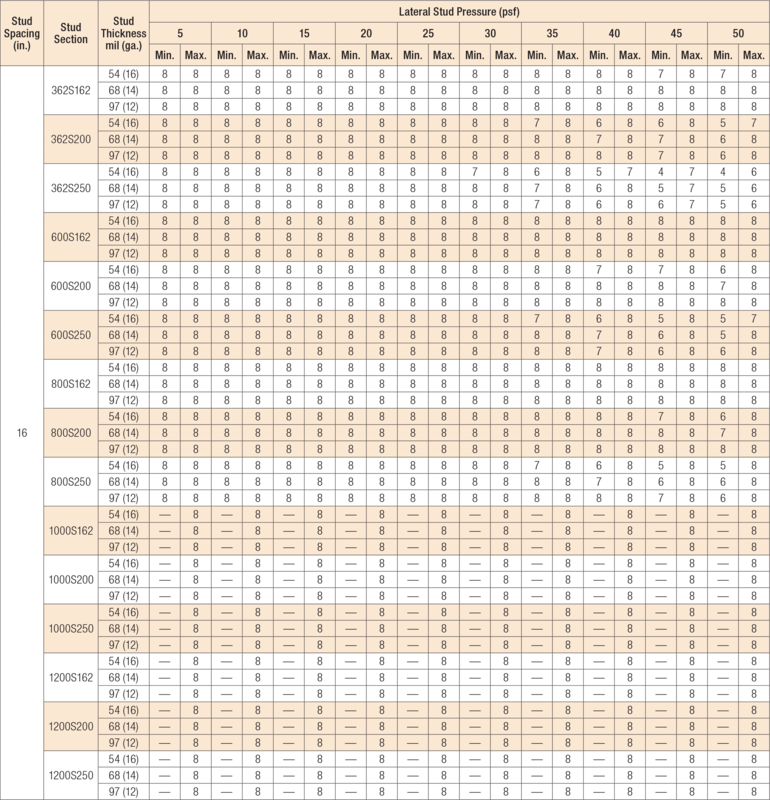 fastener quantity and tabulated values — fill round hole (one screw total); "Max." 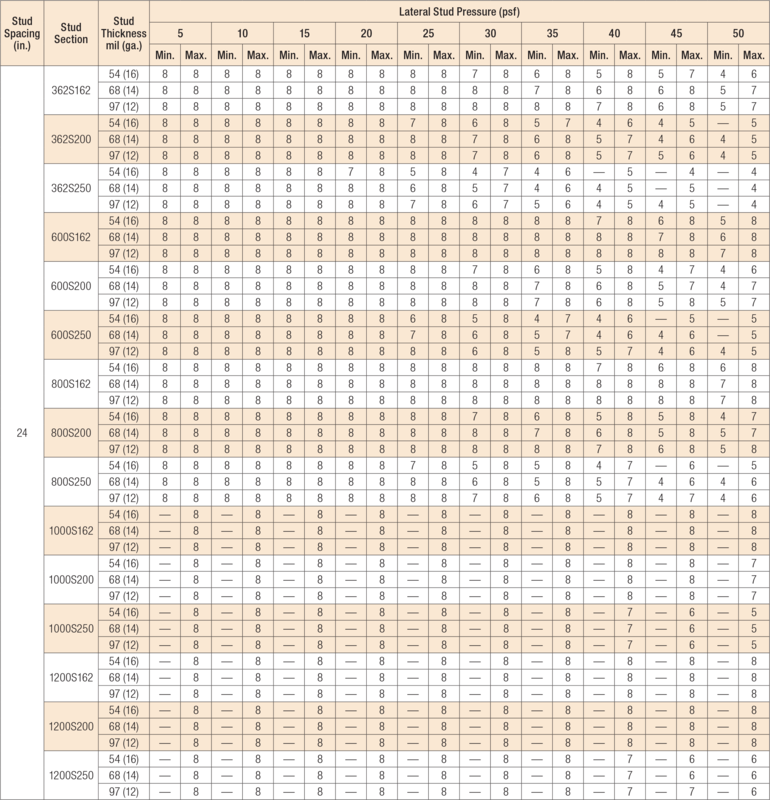 fastener quantity and tabulated values — fill round and triangle holes (two screws total). Lateral pressure shall be determined based on load combinations of the applicable code. For designs in accordance with the 2009 IBC and earlier, wind pressures are at working stress level and may be used directly. For designs in accordance with the 2012 IBC and later, wind pressures are at strength level and must be multiplied by 0.6 for ASD load combinations. "Min." designates a solution with the minimum number of fasteners ((1) #10 screw installed in round hole). "Max." designates a solution requiring the maximum number of fasteners ((2) #10 screws; fill both round and triangle holes). Blank areas designate conditions where the LSUBH does not offer a solution. "Min." designates a solution with the minimum number of fasteners ((1) #10 screw installed in round hole). "Max." designates a solution requiring the maximum number of fasteners ((2) #10 screws; fill both round and triangle holes). Blank areas designate conditions where the SUBH does not offer a solution. "Min." designates a solution with the minimum number of fasteners ((1) #10 screw installed in round hole). "Max." designates a solution requiring the maximum number of fasteners ((2) #10 screws; fill both round and triangle holes). Blank areas designate conditions where the MSUBH does not offer a solution.